Welcome to theNDA-HEALTH NOW® Event Support section of our web site. 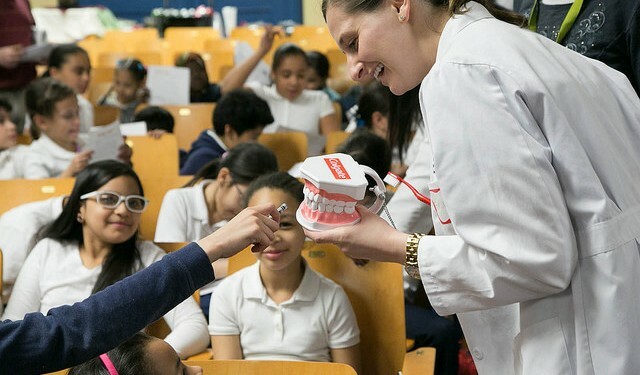 This signature program of the National Dental Association was developed to improve the health of vulnerable populations and empower communities to achieve better health outcomes through eduction, service and prevention. 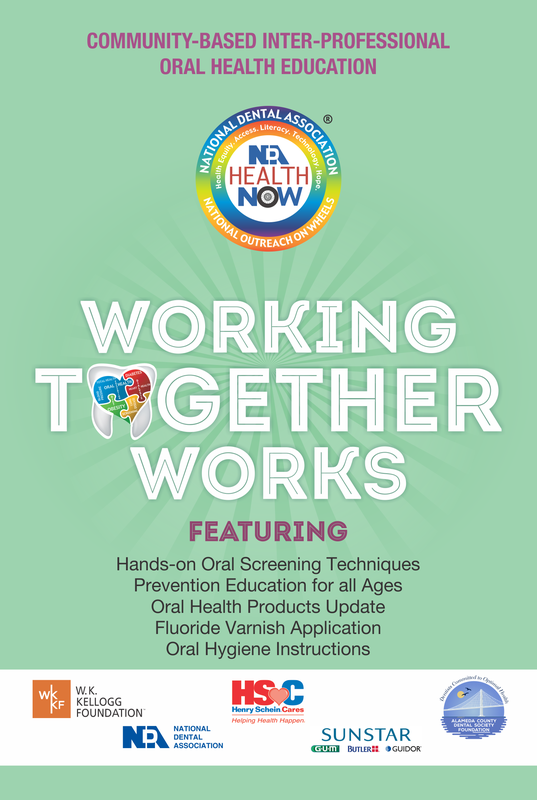 This “event support” section is designed to assist community outreach planners in designing and implementing projects and programs that will improve Total Health Outcomes by increasing awareness about the connection between good health and good oral health. There are several features contained in this section including, 1) listing of education modules for children and adults; 2) The “Resource Directory” Project template; 3) Listing of audio visual and teaching aids; 4) Sample promotional materials and design templates; 5) Tool kits to simplify the process; and 6) sample forms for parental consent, volunteers, and requests forNDA-HEALTH NOW® materials and donated products. The Project and all components are Trademarked and are designed to be conducted in collaboration with the NDA.NDA-HEALTH NOW® staff are available to help with technical support; and in return, we request photos and reports on the success of your community projects and/or events. Programs are designed for activation with or without a mobile unit. You will note that many programs requireNDA-HEALTH NOW® trained health professionals. We can assist in recruiting these experts. We look forward to collaborating with you and wish you every success! The programs listed below are available through the National Dental Association. Please contact the NDA or an oral health professional to assist with these programs. 3.Verify contact information, also: Accepts Medicaid-children and adults, hours, etc. Verify contact information, also: Accepts Medicaid-children and adults, hours, etc. Contact NDA for graphics and printing specifications. Nicole Cheek Cranston, DDS @ 202-588-1697.